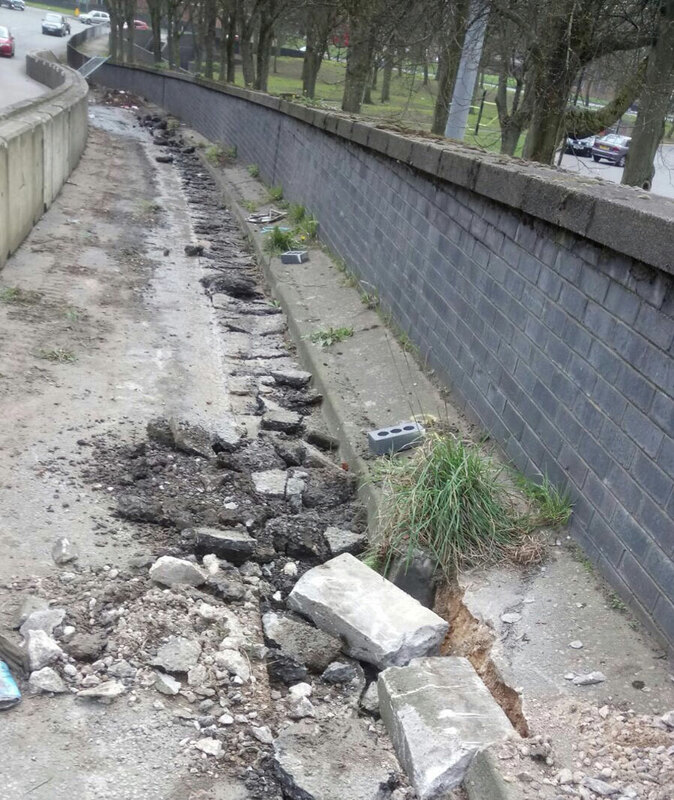 Specification: Following an assessment and several Road Traffic Collisions on the slip road the parapet required protecting from further incidents that could cause the parapet to collapse and fall into Meadow Street. Site Preparation: Excavation and removal of existing material from side of slip road. 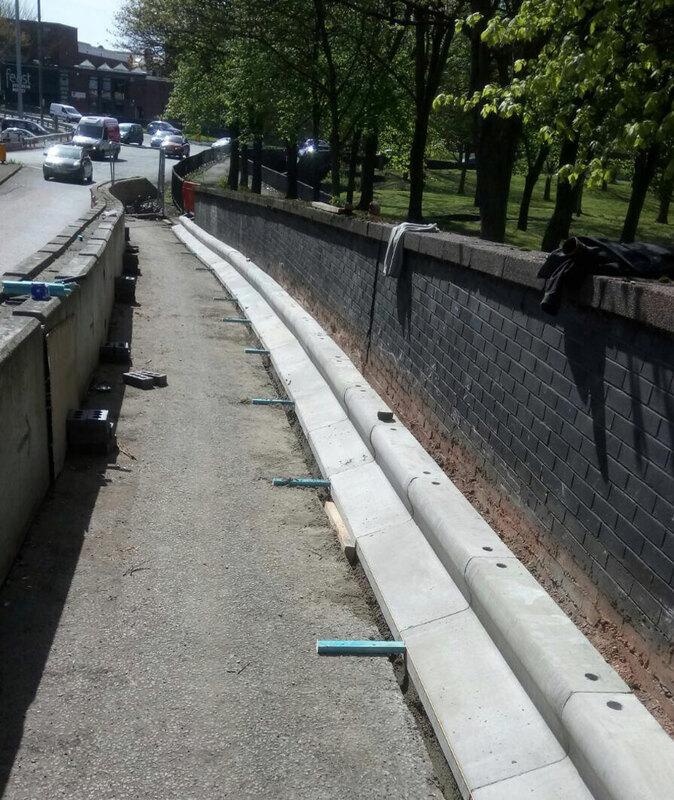 Trief Kerbing and Cabling: Installed a 200m length of Trief kerbs adjacent to the wall to deflect vehicles. Trief kerbs were dowelled and the lighting cable currently in external conduit attached to the wall moved to a duct that will be installed behind the new kerbs. Brickwork repairs: Repairs to the parapet brick wall and copings carried out during the closure.